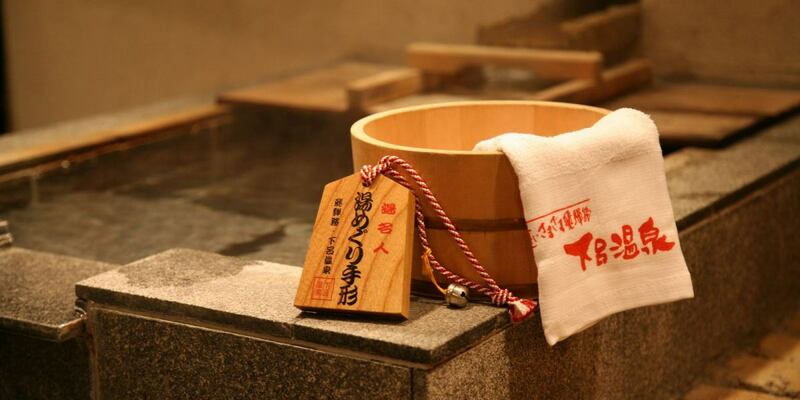 Yamagataya is information on hot springs at Yamagataya.We are waiting with Hida's famous production. Luxury to see beautiful scenery in Gero-no-yu.Relax and heal your body and mind. Private outdoor bath with cherry blossoms growing in front of you and guest outdoor bath with individuality are prepared for each. 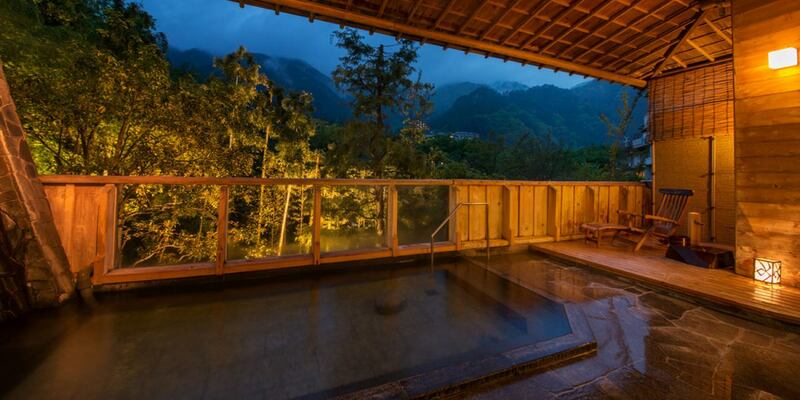 The discovery of the Gero Onsen is said to be during the calendar year (941 - 946 years). The first name that appeared in the literature is the book "Baika Mujinzo", a book written by Banri Shuku, a Gozan zen monk. About 60 States in Japan, there is hallowed ground to Maishu, is its prime who, Kusatsu of Shimotsuke, Arima of Tsuyo, of Hishu Yushima, the three-processing Nari"
Why do not you realize the reason why you are called the three famous spring of the world? Private open-air bath "Hanamai" · "Hoshikago"
Spacious large public bath, excellent opening feeling.When I sink down in a big bathtub, my whole body will come out forcefully.Body and mind are healed, please enjoy the extreme moment. Window glass is large, and you can see various landscapes every season. We have a handrail in the bathroom entrance and a part of the bathtub. Because your feet are slippery due to the ingredients of hot springs, please be careful. At the entrance of the bathtub and outdoor bath there are steps or stairs. Pleasant is the green area of bamboo and maple, open-air bath to come hear the Kawa-no-Seseragi Hida Kawa-no-Seseragi from the other side.While taking a sunshine in the daytime, you can relax in luxury under the moonlight in the evening. There is a staircase when going out to the outdoor bath from the public bath. There are two private outdoor baths along the Hida River River in Yamagataya. While listening to the Kawa-no-Seseragi Hida Kawa-no-Seseragi, please enjoy three people world Izumi the Gero Onsen to fully. During the day, listen to the Kawa-no-Seseragi Hida Kawa-no-Seseragi, please enjoy the starry sky floating in the bathtub at night.There are also cherry trees in front of you, so you can enjoy the changing seasons. When you pass through the modern dressing room, steaming steam and the cypress scent will invite you.Cherry blossoms in front of you.Spring has a cherry blossom snowstorm, love fresh green in summer, autumn leaves in fall, fantastic Yukimi bath in winter.Bathing while enjoying various landscapes by season is exceptional. 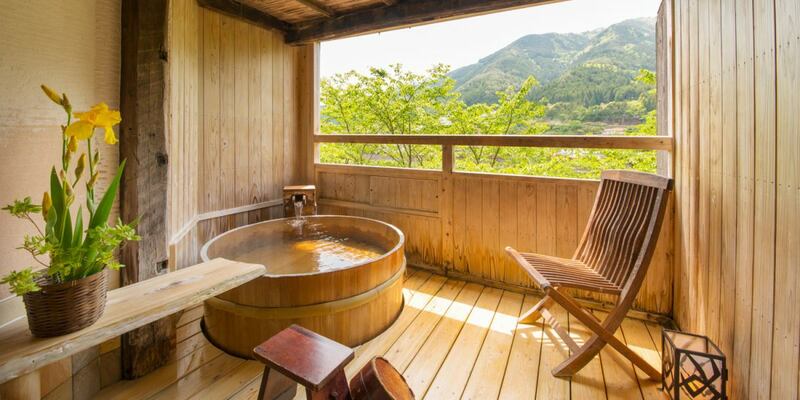 ※Private outdoor bath only on a day trip can not be used. ※Use of soap, shampoo, etc. can not be used.Bath only. "Hot water" poured from the natural hot Gero Onsen of the Gero Onsen the side of the entrance was completed. I am cutting out natural stone and making it. Hot water is said to be good for coldness and stiff shoulder. 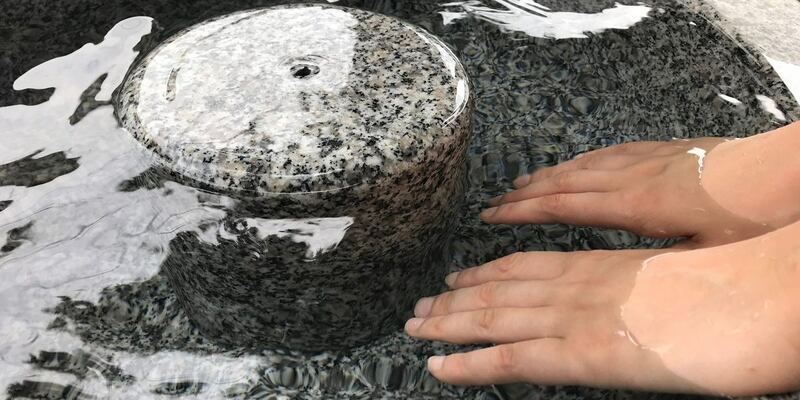 You can feel the slippery feel of the Gero Onsen easily by putting in hands. If you take a few minutes, your hands will be dull and smooth. ※Because we are facing the road, please take care of your car. If you fully enjoy the name fountain of Gero, "Yumeguri Pass" is advantageous. If you have this one you can take three baths from the billroom inn billiard. Bills are perfect for memorials and souvenirs of traveling.Gero you come to Gero, do not forget "Yumeguri Pass". We are selling at our front desk. Time spent at each facility is different.Please confirm from the link in the lower right. The parking lot and use time vary depending on the bathing facilities. Be sure to check beforehand beforehand. Gero Onsen is a Kusatsu Onsen spring that can be counted as one of "Nippon Best Three Hot Spring" along with Kusatsu Onsen and Arima Onsen. It has effects on beauty and health, such as motor disorders, rheumatism, nerve paralysis, recovery from illness, recovery from fatigue and so on. 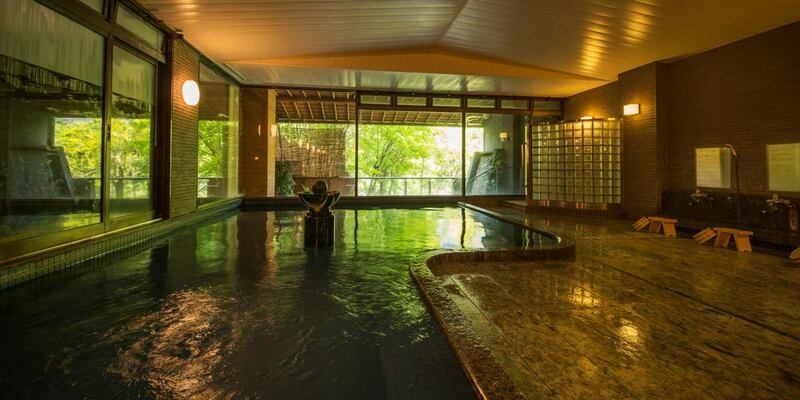 It is also a famous hot spring, also known as "Bijin-no-yu", as well as outstanding moisturizing effects. Centralized management at the union's hot spring tank.Pull out with a special pipe. Since the waste such as the hair stuck in the corner of the bathtub does not flow naturally only with the discharge type (hanging flow), forcibly sucking out them, returning only the clean hot spring to the bathtub, always using a clean bath We are hiring it. Hydration is required for temperature control during bathing change.In addition, there is some warming to maintain the temperature of the hot spring in the bathtub. Based on the guidance of the public health center, we implemented it with a chlorinated fungicide. Legionella bacteria twice a year, Escherichia coli etc. We have completely changed the hot spring in the bathtub at least once on 7th.